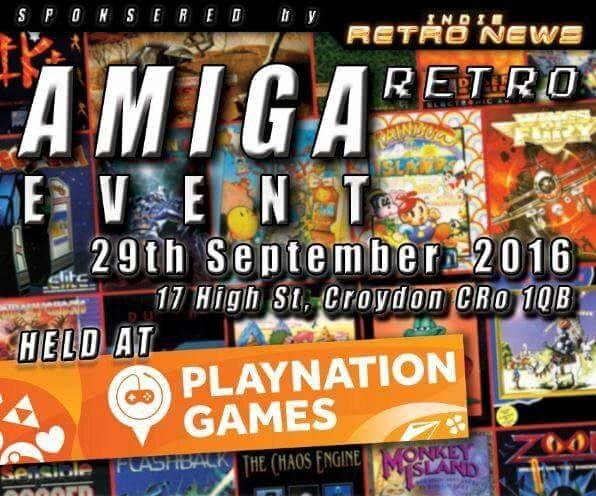 Indie Retro News: Amiga Retro Event - Playnation Games celebrates the Amiga - Next week 29th September 2016! 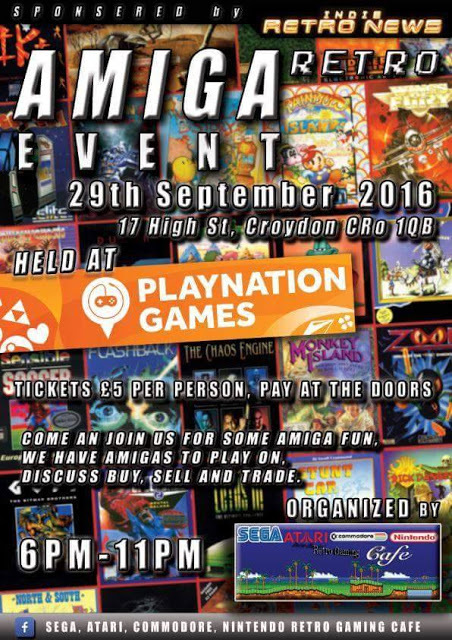 Amiga Retro Event - Playnation Games celebrates the Amiga - Next week 29th September 2016! Time has just flew by as next week PlayNation Games is going to be celebrating the Amiga in style by hosting the Amiga Retro Event held at Playnation Games on the 29th September from 6pm till 11pm. Organised by the Sega, Atari, Commodore, Nintendo RetroGaming Cafe Facebook Group this is going to be the most classy Amiga set up happening this side of the UK! Not only can you play Amiga games on original Amiga hardware and some with tasty mods, you can even discuss, buy, sell and even trade games! Yes indeed, one of the coolest shops for buying and selling retro games is doing a big event for you to come on down and have a damn good time with Zipstick's at the ready, Tickets will be priced at £5 per person at the door and what's more there isn't just Amiga games here, but other gaming goodies such as C64, NES, Sega, ZX Spectrum and lots of other cool stuff too with Indie Retro News as the sponsors!